When it comes to finding the perfect diving spot, the Philippines has a great many and on top of this list is Anilao in the province of Batangas. This dive spot is recognized as one of the favorite hangouts of people looking for a weekend getaway. Being just a couple of hours away from the national capital of Metro Manila, it is a suitable spot alternative for city residents who want to take a dip in its resorts or engage in scuba diving or snorkeling. Aside from its world-class amenities, Anilao is home to the biggest contingent of various marine life species, including more than 90% of coral species and a huge number of nudibranch. Diving in Anilao reached its peak during the early years of the 80’s when divers from different parts of the world discovered the place and started diving the area extensively. However, the diving place was still due for development during that time. Aside from that, Anilao was affected by dangerous style of dynamite fishing by the local residents. Consequently, foreign divers began to look for other dive sites in the Philippines, such as Tubbataha or Palawan. However, slowly but surely, Anilao is getting back on its feet after local efforts to preserve natural wildlife went into full swing. Dive sites in the area are perfect for beginners as well as expert divers. Local and foreign divers can look forward to comfortable temperatures throughout the year. The customer service is exceptional and commonly the local personnel will take care of the itinerary of their clients. 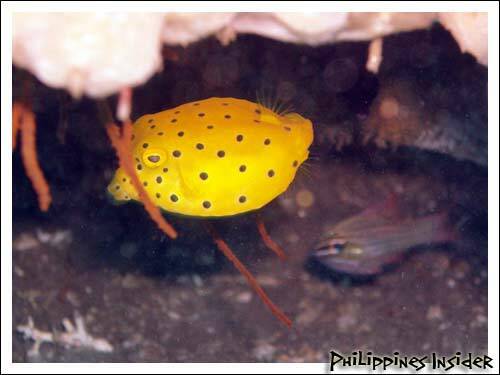 Dive sites in Anilao offer affordable prices and are truly a worthwhile diving experience. At some dive sites, beginners don’t like to indulge in scuba diving for fear of getting into situations they can’t handle, but Anilao offers several alternatives in the nearby resorts lined-up on the coast. Some of the more popular dive sites in Anilao include Cathedral and Twin Rocks. Both provide a guarantee of an enjoyable diving experience for beginners and experts alike. Although designed as a resort and diving site, Anilao likewise offers other amenities for customers who are not inclined to diving. Visitors can look forward to spa and massage treatments. Snorkeling is a very popular alternative to diving. Situated on the northeast area of Anilao is Lake Taal, where majestic Taal Volcano, the world’s smallest volcano, is located. Residents from this city can likewise tour this natural wonder which has another lake within the volcano’s crater. Guests could even consider going on a hiking trip towards the slope of Taal Volcano. Finally, there are other diving alternatives which visitors can delve in outside Lake Taal. So when looking for dive spots in the Philippines, always consider Anilao; you won’t be disappointed.